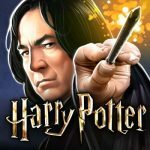 Harry Potter: Hogwarts Mystery is the highly anticipated RPG created by Jam City for Android and iOS devices. The game has been in the works for quite some time, and fans of the Harry Potter series are all thrilled that it has finally arrived. 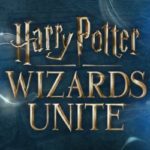 Players of Harry Potter: Hogwarts Mystery get to play as a witch or wizard who enter Hogwarts as first year students. The game is set some time before the Harry Potter books, so all your favorites characters are still alive and well. You start off with creating your own character, going shopping for books and wands, and choosing the House you want to represent. The story features your character as the sibling of an infamous student who supposedly went mad and worked for He-Who-Must-Not-Be-Named. Needless to say, that spells a lot of trouble for you. We have initially created a Harry Potter: Hogwarts Mystery beginner’s guide that features a number of neat tips and tricks, but if you are looking for something more advanced, you have come to the right place. Our Harry Potter: Hogwarts Mystery advanced tips and tricks are here to help! One of the biggest events in Hogwarts is the annual House Cup. Every student in school will have the responsibility to earn House Points in order to help their House win. Points are awarded to students who perform well during class, and those who display good behavior that the professors deem worthy of being rewarded. When you start out, you will quickly find yourself getting in trouble with Snape and losing points. Don’t worry because we have listed a few things you can do to earn those back and earn even more points. As you know, classes reward you with various attributes, currency, and House Points. Before you start a class, check out the different options to the left of the Start button. You will see that you can take a class for 1 hour, 3 hours, and 8 hours. The longer the class is, the more stars you will need to acquire in order to pass. While that may sound intimidating, keep in mind that this also means more rewards for you. You also get additional opportunities to earn more during the mini-games that appear after earning a star. Make sure you take time to get those bonus stars even if you already passed the class. Each star gives you one extra house point. At the end of the class, you will be given an additional 10 points for your House. Keep in mind that you can also lose points if you perform poorly in class, so take every task seriously or you will end up in a worse position. When you play through the story, you will often encounter various choices for answering your professors. There are some snarky remarks included, so make sure you pay attention. Trying to get smart with your professors is a sure way to get points deducted. Read each response carefully and choose the one that will most likely please the person you are talking to. Some of the good responses are locked behind attribute requirements. This is why you should grind to raise your three attributes before proceeding with the story. Rewarding interactions are not limited to those you have with your professors. Sometimes, being a good classmate is also rewarded. For example, if you help out Ben with his phobia of flying, Professor Hooch will take notice and reward you with 10 points. Just try to help people out as much as you can in order to gain more House Points. Harry Potter: Hogwarts Mystery ‘s energy system can prove to be a very limiting factor if you don’t manage it well. You could end up failing tasks just because your energy did not regenerate fast enough. While you can whip out your magical credit card to buy an energy refill, the game will also most likely break your bank before you can finish it. Gems are hard to acquire for free, and they are quite expensive to buy with real money. The best way to succeed here is to manage your energy and know where to get a few refills for free. The best free refill in the game is levelling up. Aside from increasing your maximum energy capacity, levelling up will also fully regenerate your energy. Before you get excited about this, however, make sure you don’t waste your level up refill. Always pay attention to your experience. If you are close to levelling up, try to use up all your remaining energy. This way, you can make the most out of your level up refill. Keep in mind that you can increase your energy limit during your first year by three points when you take flying lessons. Keep attending flying classes until you get those three points! Harry Potter: Hogwarts Mystery also has a few secret refills that give you one or two energy points every six hours. These are hidden around Hogwarts and can only be revealed once you tap on them. We have listed a few of the known energy bonus refills below for your reference. Try to make your rounds every six hours to maximize the refills. Merula will give you a hard time for simply being your brother’s sibling. She is determined to give you hell, so you will have to learn how to fight back. This will introduce you to the duel system in the game. Rest assured you will have a regular lineup of people who want to beat you up, so take time to learn how to win duels. The first round is the Stance round. Here you will have to win by guessing what move your opponent will make in a rock-paper-scissors type of combat. Sneaky defeats Defensive. Defensive defeats Aggressive. Aggressive beats Sneaky. Some characters have the tendency to choose certain stances more often. For example, Merula is the Aggressive type while Ben is usually Defensive. While it is not a foolproof way to predict their attack, knowing their behavior increases your chances of successfully predicting. Once you move on the Action round, you will be given two options based on the stance you picked in the previous round. If you were Aggressive, you can either use a spell or throw a vial. If you were Sneaky, you can either disarm or throw a vial. If you were Defensive, you can either heal yourself, cast a defensive spell, or throw a vial. Make sure you read the description of each icon in order to figure out which action you should take. In Harry Potter: Hogwarts Mystery friendships play an important role. When you improve your friendship with the other characters, you will be able to access more content and take them along in your adventures. The first friend you make, Rowan, will introduce you to the concept of hanging out in order to improve relationships. However, the tutorial gives you a very easy challenge. Now all friendly dates will go as smoothly. There are a few things you need to remember if you want to make a lot of friends in this game. First of all, you have to actually know a person to hang out with them. You know Rowan from the start, Penny and Ben will also introduce themselves to you early on. The other characters in the game, however, you will need to unlock before you can start hanging out with them. Just keep playing the story quests until you are officially introduced to the other characters. Bill Weasley will be accessible during your second year. You will meet Nymphadora Tonks and Tulip Karasu during your third year. After you unlock these characters, you will be able to hang out with them. Another thing to remember is that hanging out costs money. You need gold before you can begin. Make sure you don’t blow all your money on outfits customizations. Don’t worry because hanging out does not usually cost a lot. Just try to leave some money in your pocket so you don’t miss out on any opportunity to hang out with a friend. Remember to read your friend’s mood before jumping into your friendly date. Just tap on his portrait on the top-left corner to see which of the three attributes is on his mind. Take note of the highlighted attribute and choose your answers based on it. If you are not seeing the attribute among the choices, the most likely cause is that you have not reached the required stats for that answer. This is why you should grind to raise your attributes prior to asking anyone to hang out. A lot of your interactions with the characters in the game will have some impact on your performance. It is important that you consider your answers carefully. It is not just about getting a laugh out of the conversations. You only have one shot at getting the conversations right, so don’t waste it. We have listed some of the early interactions below to help you get started on the right track. Question: Have you had visions before? Answer: I’ve heard things before. Question: Visions can be dangerous. Answer: That’s why I need your help. Question: How can I help? Answer: With knowledge and friendship. Question: Do you think it was a warning? Answer: Or a clue, maybe both. Question: There’s so much to be afraid of. Answer: Everyone feels afraid sometimes. Question: Our friends aren’t scared. Answer: We’ll keep each other safe. Question: Why was I put in [Class Name]? Answer: You’re braver than you know. Question: I belong in the Muggle world. Answer: You belong in Hogwarts, Ben. Question: What if we get caught? Answer: We won’t. We’ll be prepared. Question: What about Snape? Answer: You’ll work out a brilliant plan. Question: What about the Cursed Vaults? Answer: We’ll break the curse. As we mentioned above, doing well in class and in the mini-games will help you earn more House Points and other rewards. One of the trickiest mini-games is the Focus activity. The professor will normally warn you beforehand that you need to focus. After that, the mini-game will begin. You will see a circle on the screen with a smaller dashed circle inside. You will need to tap just as the ring is between the two circles in order to get a Brilliant rating. This mini-game is easy to fail because of the delay in reaction times. If you want a surefire way to win this, keep your finger on the screen as soon as the mini-game begins. When the ring turns green, simply lift your finger. It will still register as a tap and there won’t be a delay in reaction time because your finger was already on the screen. There are two types of currency in Harry Potter: Hogwarts Mystery. The regular currency is coins and the premium currency is gems. Coins are needed for various activities including hanging out with your friends. Gems are used for refilling energy quickly. Both currencies can be used to purchase different cosmetic items. Before you go on a shopping spree, however, make sure you consider what you will be spending them on. Avoid buying cosmetic items unless you have a whole lot of money to spare. You should also avoid spending gems on energy refills since you can regain your energy for free through different means. It takes 100 minutes to recover 25 points of energy, so you can just log off from the game and set an alarm for 1 hours and 40 minutes. A wizarding student’s life is never easy, but with the help of the Harry Potter: Hogwarts Mystery cheats, tips and tricks listed above, you will be acing every Hogwarts class in no time!